​The Indigenous Rangers Program is providing a record number of jobs for Indigenous and Torres Strait Islanders, creating around 2,500 jobs in 114 groups across Australia, with 69 of these groups now performing biosecurity surveillance, thanks to a $12.4 million boost in funding over four years by the Coalition Government. Deputy Prime Minister and Minister for Agriculture and Water Resources, Barnaby Joyce, who visited with Tiwi Island Rangers yesterday, said job opportunities for Indigenous rangers undertaking biosecurity activities in northern Australia had increased by more than 50 per cent in the past two years under the Coalition Government. “The unrivalled expert knowledge of Aboriginal a​nd Torres Strait Islander Rangers about plants, animals and our environment plays an increasingly critical role in Australia’s national biosecurity system,” Minister Joyce said. 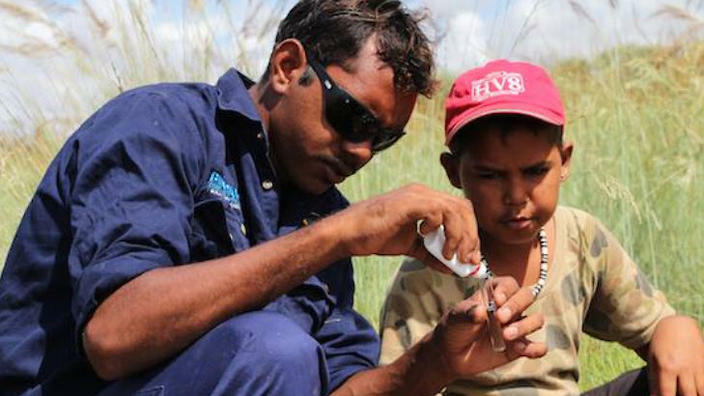 “Twenty nine additional ranger groups, bringing the total to 69, are now undertaking plant and animal surveys, community education and sampling work along our 10,000 km northern coastline to protect us from invasive species such as electric ants, mango pests and bristle worms. “This includes the introduction of sea rangers who undertake biosecurity work in the marine environment and are essential for healthy coastlines and productive fisheries. Other biosecurity concerns the Indigenous rangers have identified are erythrina gall wasp, vegetable leaf miner, green shrimp plant, live pigs and live dogs, which can carry potentially catastrophic diseases. Minister for Indigenous Affairs and Senator for the Northern Territory, Nigel Scullion, said Indigenous rangers had extensive traditional knowledge of lands and waterways, including areas that are sparsely populated and remote—making them well placed to detect changing patterns. ​”Indigenous rangers combine traditional land knowledge and values with conservation training to protect and manage land, sea and culture,” Minister Scullion said.